June 17–21, 16 members of the 25-member World Wide Kids 4-H Club accompanied by eight adult chaperones went to Arkansas to visit Heifer Ranch, Heifer Village and Heifer Headquarters – all part of Heifer International. The trip home was marked with a visit to Manchester College in Indiana to see the exhibit there devoted to Dan West, Heifer’s founder. The members of this Michigan State University Extension Ionia County 4-H club range in age from 10 to 19. Judy Huynh, 4-H volunteer leader and recent inductee into the Michigan 4-H Emerald Clover Society, leads the group. The trip’s objective was to learn more about Heifer International and its work to end hunger and poverty in the world. The mission of Heifer is “to work with communities to end hunger and poverty and to care for the earth.” Their headquarters and Heifer Village show their commitment to that mission of caring for the earth. The 4-H’ers also wanted to spend time together as a club, away from all the distractions at home, and get to know each other better. The club members needed to raise about $5500 for the trip, and raising the money created its own learning experiences. Some of the money came through a county 4-H Participation Fee grant, a donation from the 4-H Service Club and member contributions. The members also held a Mexican dinner, sold environmentally friendly shopping bags, worked at MSU Agriculture and Natural Resources Week, held silent auctions and sold bracelets from Bead for Life. After a daylong drive, the group toured Heifer Village in Little Rock, Ark., the next morning. They took part in a scavenger hunt and explored all of the hands-on exhibits to learn about hunger and poverty. They also toured Heifer Headquarters, which is a LEEDS Platinum building, so they learned about all the systems in place to save energy and protect the environment. 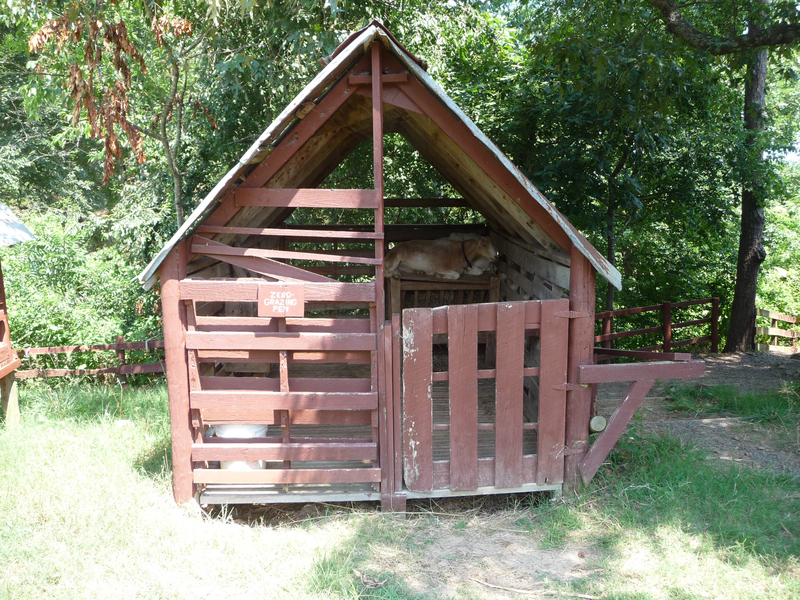 Heifer has many different animals at the ranch to represent the different types of animals they donate. 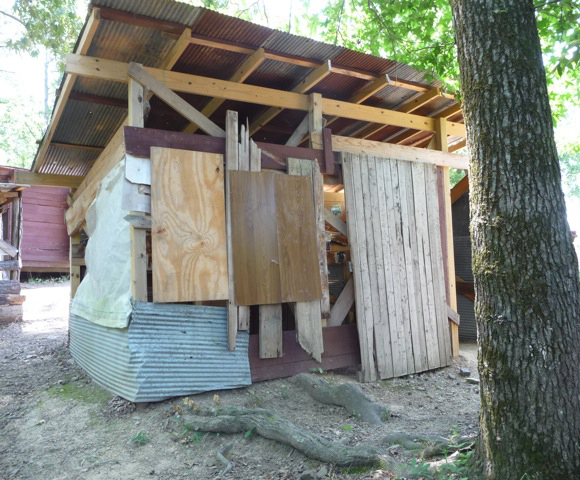 They also have examples of the housing used for them. This is a zero-grazing pen for the goat. After eating lunch at the Heifer Café in Heifer Village, the group drove to Heifer Ranch in Perryville. The group toured the ranch and spent time working on leadership skills and participating in activities to learn more about hunger and poverty in the world. A few chance encounters, or some might say, guardian angels, made the trip special and even got the group out of some predicaments. The group’s chance encounter with some early supporters of Heifer and a family who regularly gave programs on international music led to an unplanned meeting of 74 people on Saturday night in one of the educational buildings to share stories and learn international songs and dances. Another chance encounter with a woman whose brother-in-law owned a repair shop allowed a quick rescue of six 4-H members and a chaperone stranded on the side of the road in a remote area when their car overheated. The group was surprised to learn that the couple who shared the international music at the Saturday night program lived in a yurt (circular tent) two miles from the group’s planned stop in Manchester, Indiana. 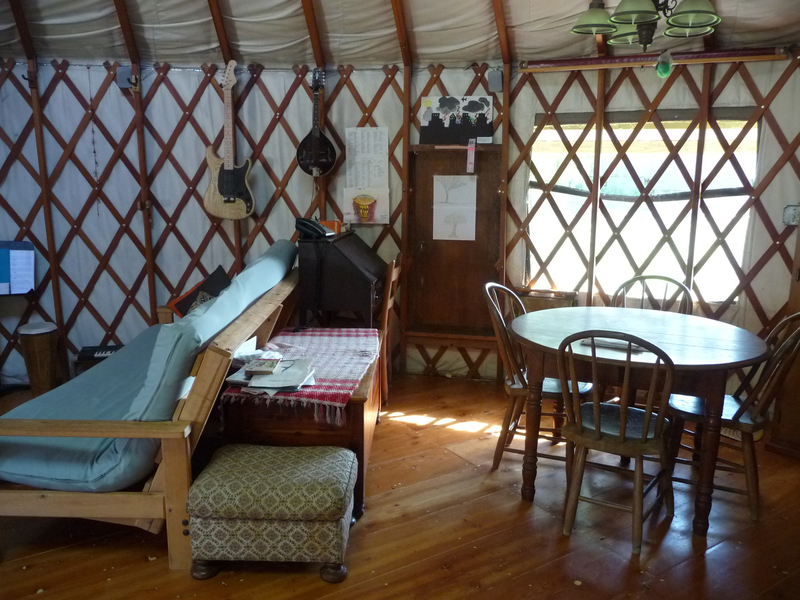 The couple invited the members to see the yurt, and the group was able to do so. This was another unexpected but pleasant surprise for the club. When the group arrived at Manchester College, they were disappointed to learn that the library that housed the Dan West exhibit was already closed. Just by chance (or perhaps not) a custodian riding on a cart nearby solved the problem by unlocking the library so the 4-H’ers were able to go inside and see the exhibit. 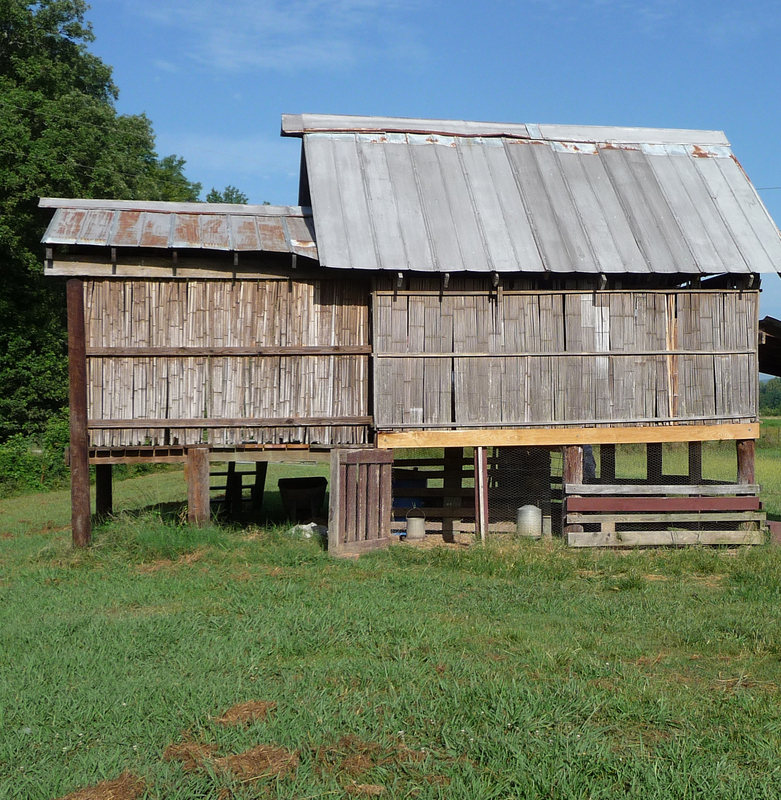 The Heifer Village shows examples of different types of housing from around the world. The trip turned out to be more than the group ever expected. After the trip, the kids were inspired more than ever to work to end hunger and poverty and to change the world. And they also may be more aware and appreciative of those little chance encounters in life that come our way.